Happy Saturday Junkies! 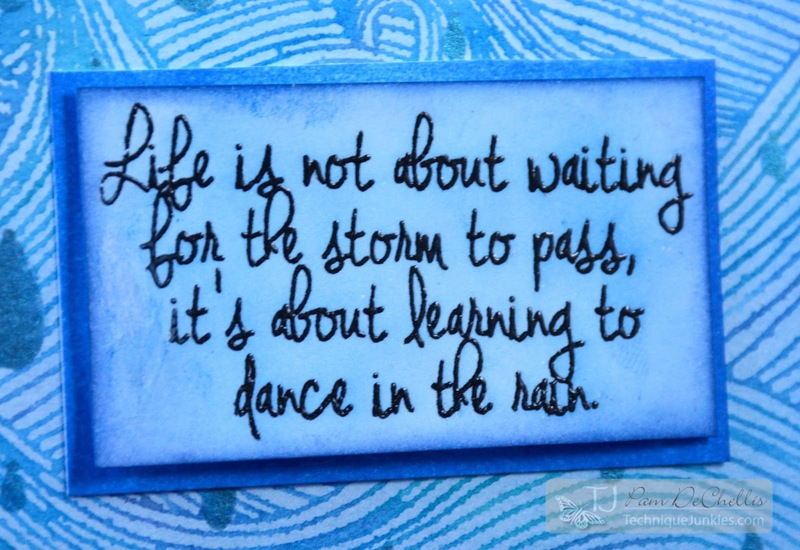 Pam here today and I am featuring one of my favorite sentiment stamps from Technique Junkies- Dance in the Rain. 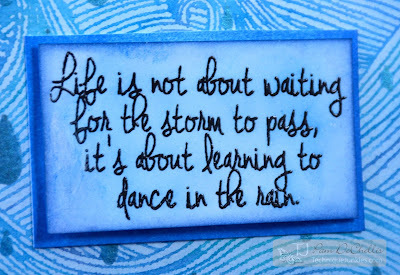 I just love the motivation associated with this sentiment! It pairs so well with the beautiful background stamp Sea Waves. For this project I added some layering with a stencil from the Crafter's Workshop - Mini Raindrops. I used a watercolor stamping technique for the Sea Waves. I inked the stamp with various shades of blue/blue green Distress ink, spritzed with water and stamped onto watercolor paper. Over top I placed the rain drops stencil and inked with VersaMark ink and applied Ranger Perfect Pearls for the shimmer. 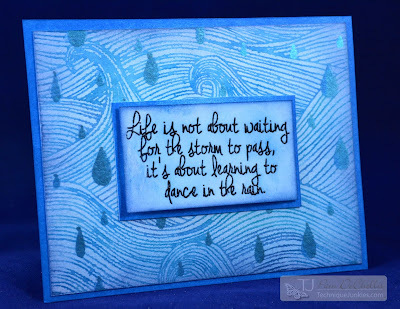 The sentiment was stamped with Versafine Onyx Black and covered with clear embossing powder. Be sure to check out these fantastic images as well as the 13 NEW August releases at the Technique Junkies store. Thanks for joining me today and be sure to check out the TJ Design team blog and my blog frequently for more great TJ inspiration.